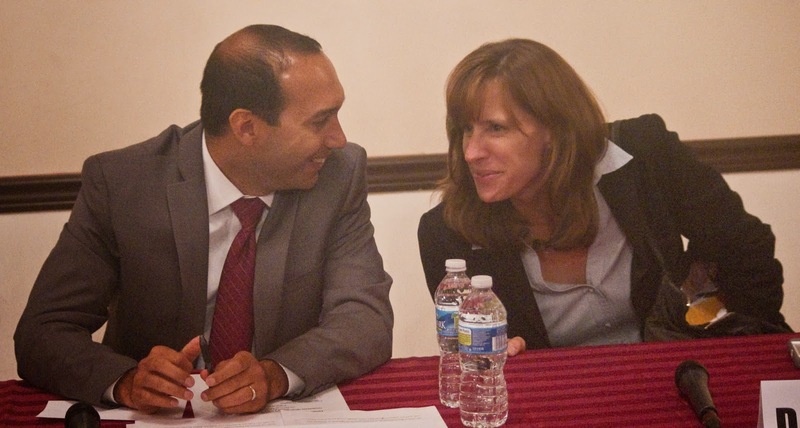 Assemblyman Ruben Ramos has a lighthearted moment with Mayor Dawn Zimmer before the mayoral forum last night. Although the mud would fly, there was little in the way of new ground or developments. More on a snap analysis to come.